Avondale (Auckland) based glass studio Lukeke Design is the brainchild of the talented duo Katherine Rutecki (New York, USA) and Luke Jacomb (Auckland, New Zealand). 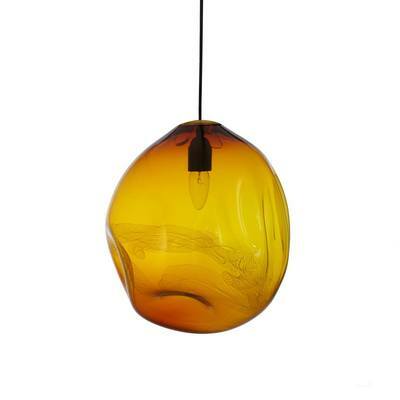 Lukeke Design is driven to produce quality handmade blown glass works that are beautiful, accessible and affordable. Lukeke Design has recently developed a stunning series of lighting pieces. Each piece is individually crafted and hand blown. 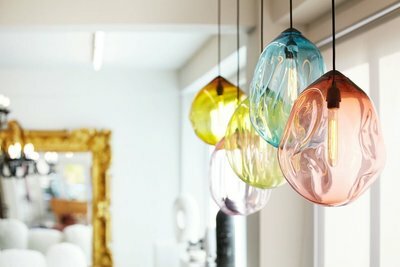 Aesthetically the series offers a unique contemporary-retro fusion that adds warmth, character and a refined statement to any interior. With a focus on the hand-made Lukeke Design does not produce large quantities of each design, this ensuring the customer has a special one of a kind lighting piece. 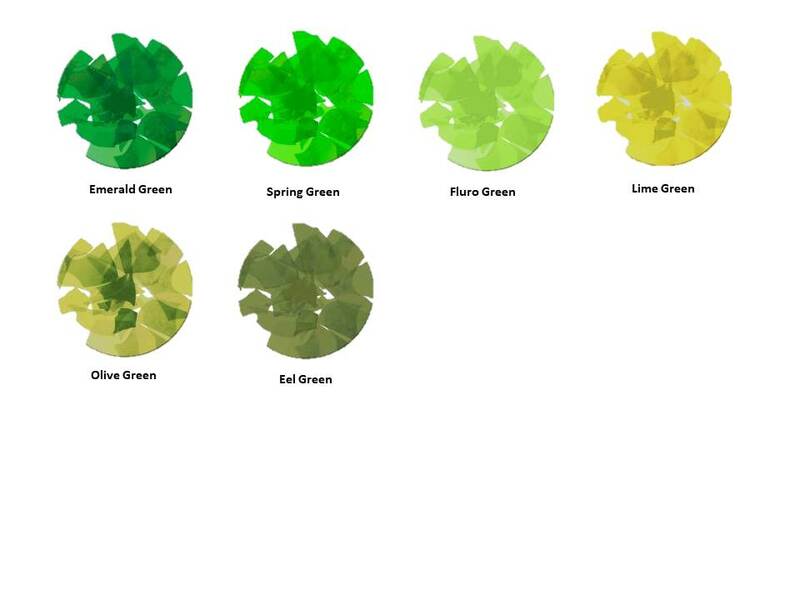 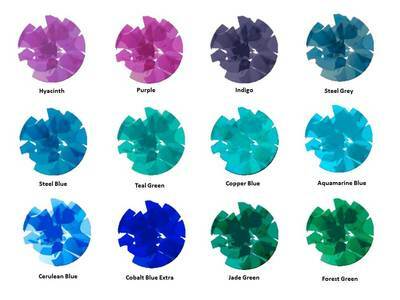 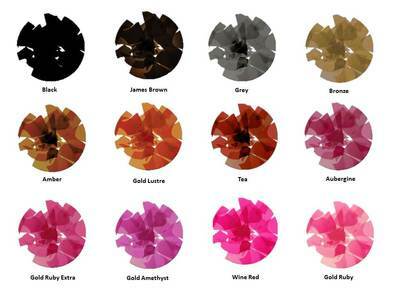 Lukeke Design is open to customer briefs and can work with you to produce just the right colour and finish for your interior. Stunning Hand Blown Lighting Design with a Contemporary-Retro Fusion. 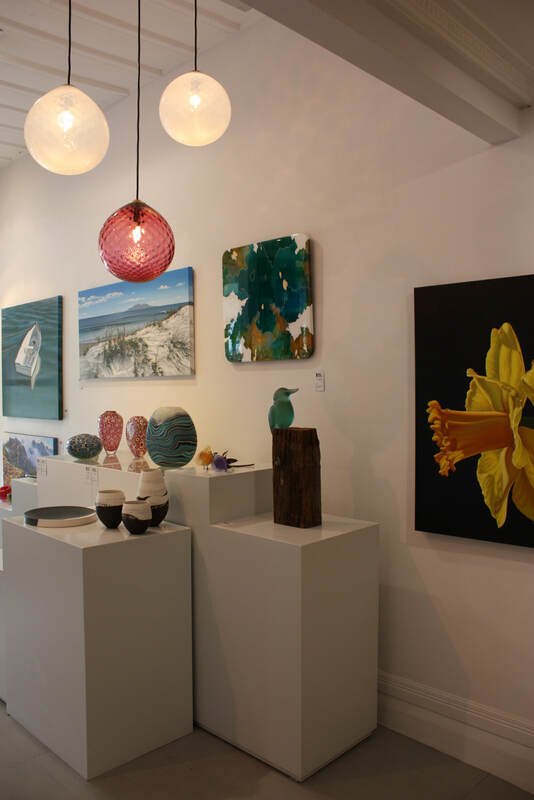 Illuminate your home with quality crafted pieces that blur the line between art and design. 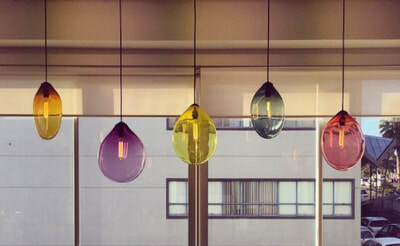 ​These hand blown glass pendants are simple and elegant. Coloured glass is formed into fragile balloon like forms with compelling surface undulations. The glass appears as if straight from the furnace, still malleable. 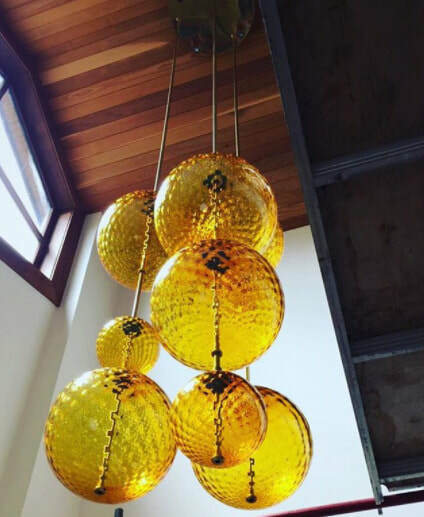 Installed as single pendants or as clusters, these pendants make an artistic statement in any space. 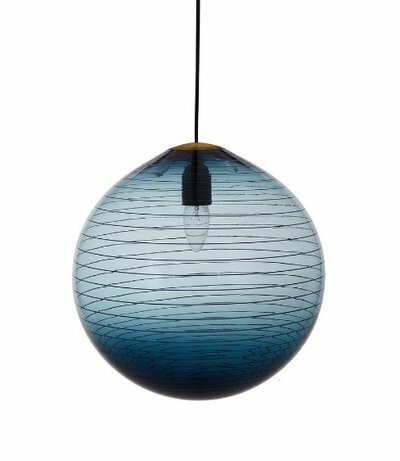 The script pendant features a calligraphy like surface design reminiscent of the artist's own signature. The deflated pendant form gives an organic quality, that also serves to distort the light and create interesting effects. 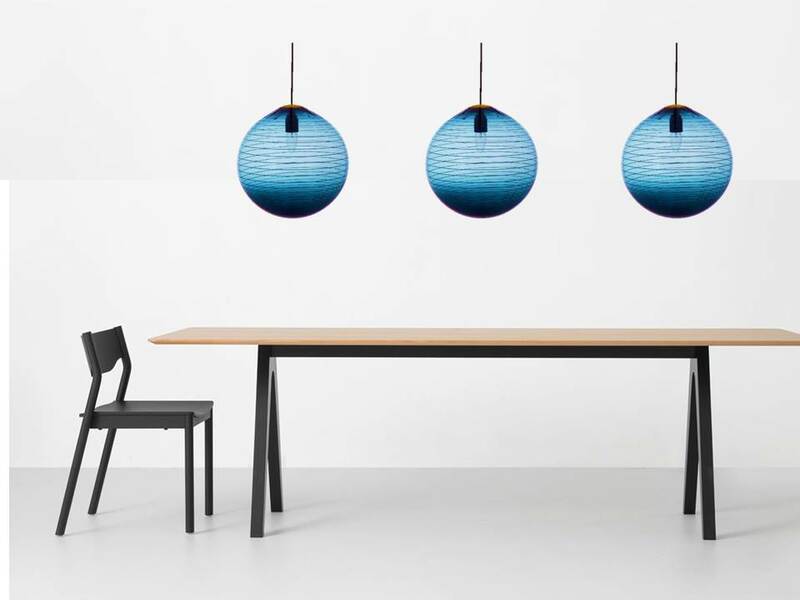 These pendants have a minimalist elegance. 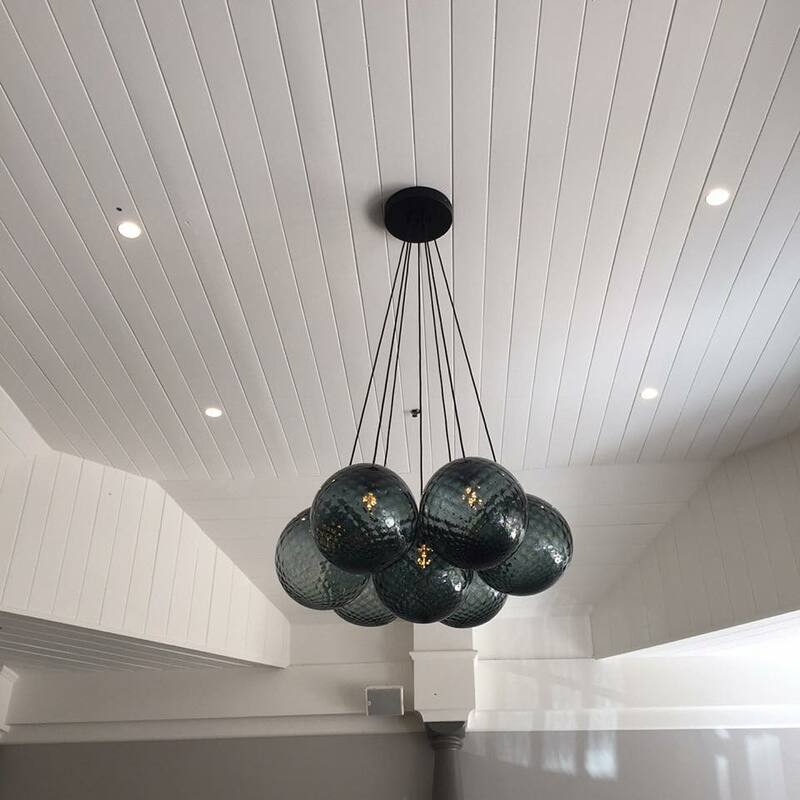 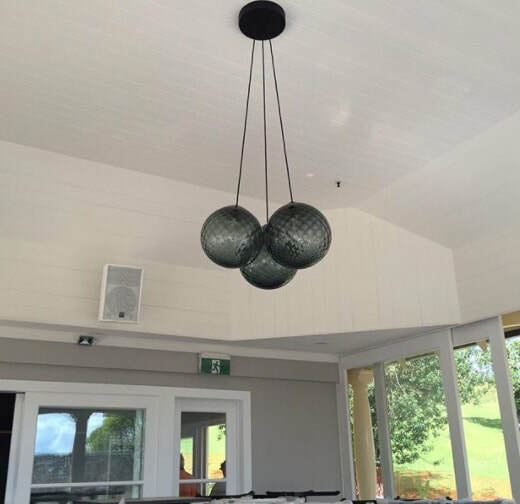 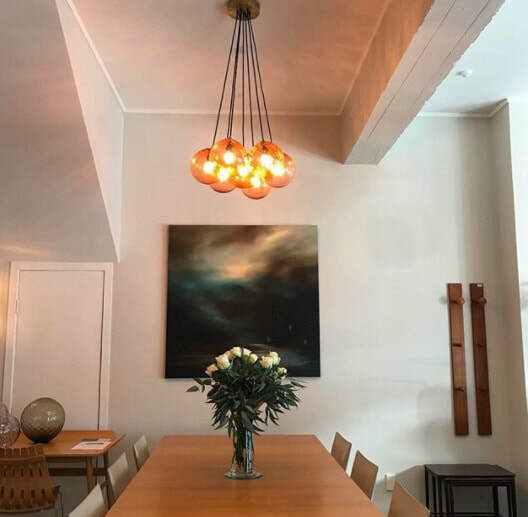 This design looks impressive installed as single pendants or as clusters. 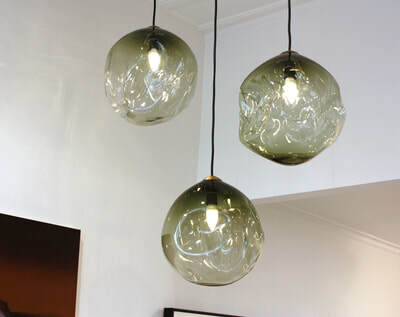 ​These impressive hand blown glass pendants offer sleek geometric shapes that can be customised to your brief. The graduated colour, from dark to light, enhances the drama of the lights. 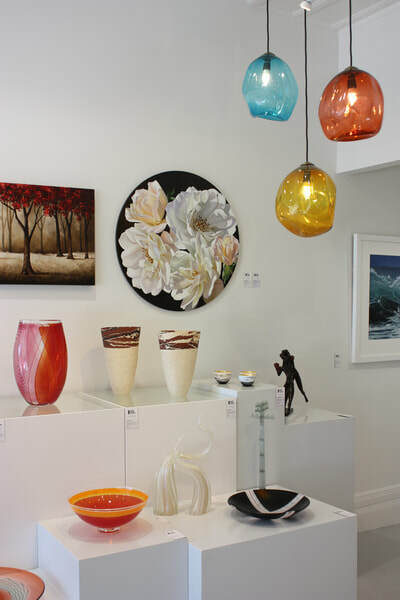 Imbued with a contemporary aesthetic these pieces add elegance to a space. 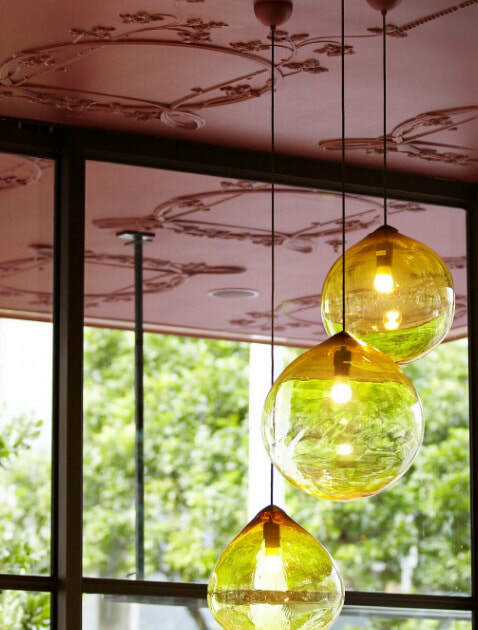 ​These impressive hand blown glass pendants offer a strawberry like surface texture that creates striking light effects. 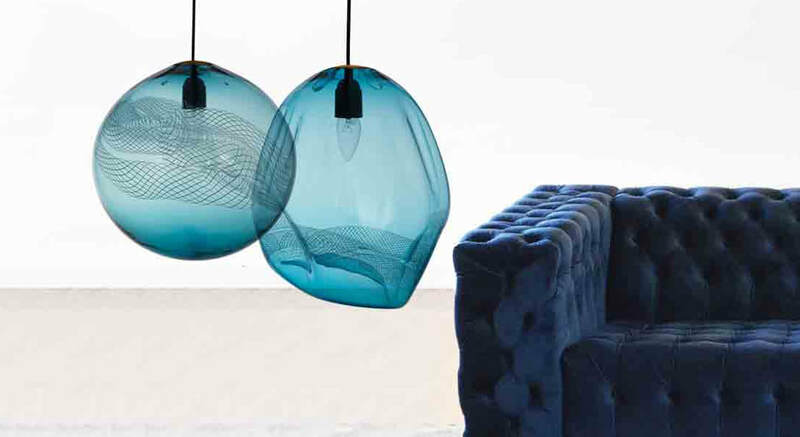 Imbued with a retro/contemporary aesthetic these pieces add character to a space. 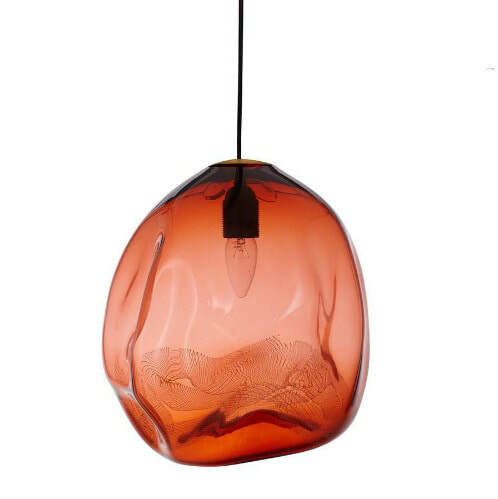 ​The incalmo wrap pendant celebrates the artist's technical mastery of blown glass. 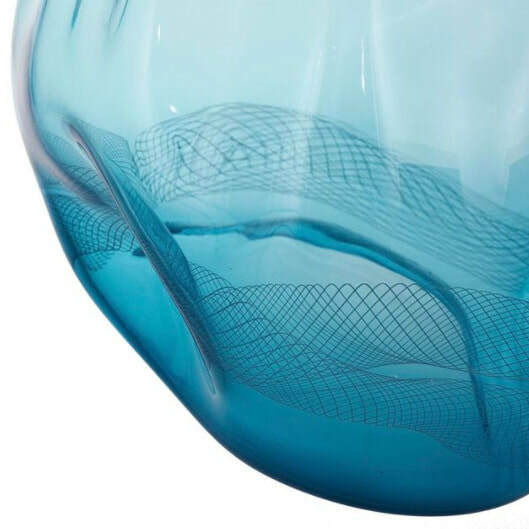 To create these pieces the artist first inflates the coloured glass into beautiful round forms, once these shapes are just right, the artist then carefully and precisely wraps incalmo line work around the form. 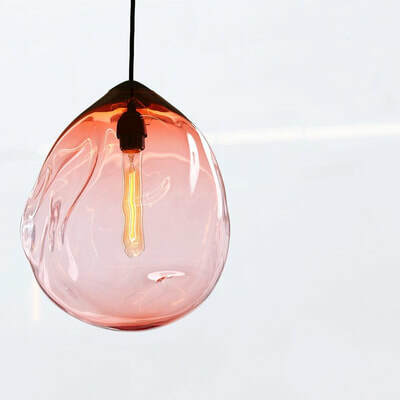 The result is a pendant that offers contemporary clean lines while still looking handmade. 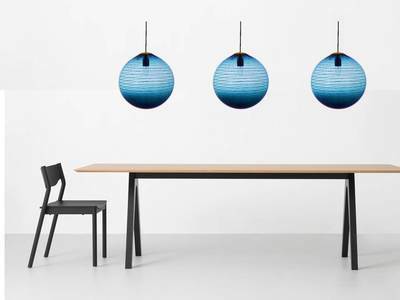 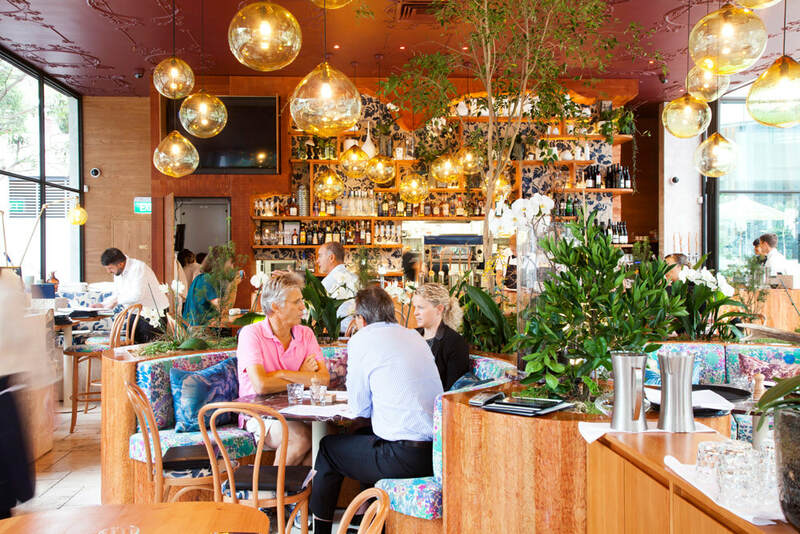 ​The orb pendant is a retro inspired design that adds ambience to a space. 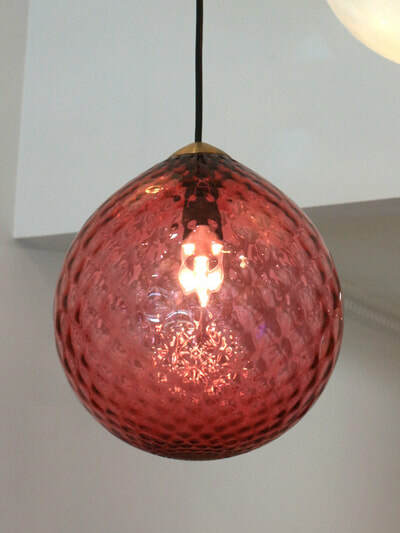 The form of the orb is regular and the surface is smooth, and the design can include an optional line through the centre. 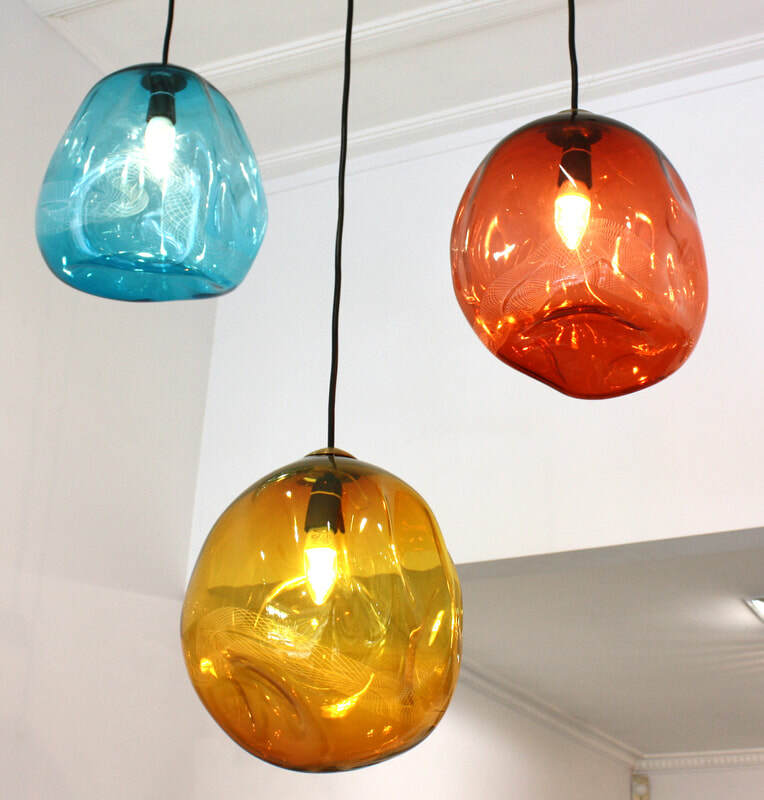 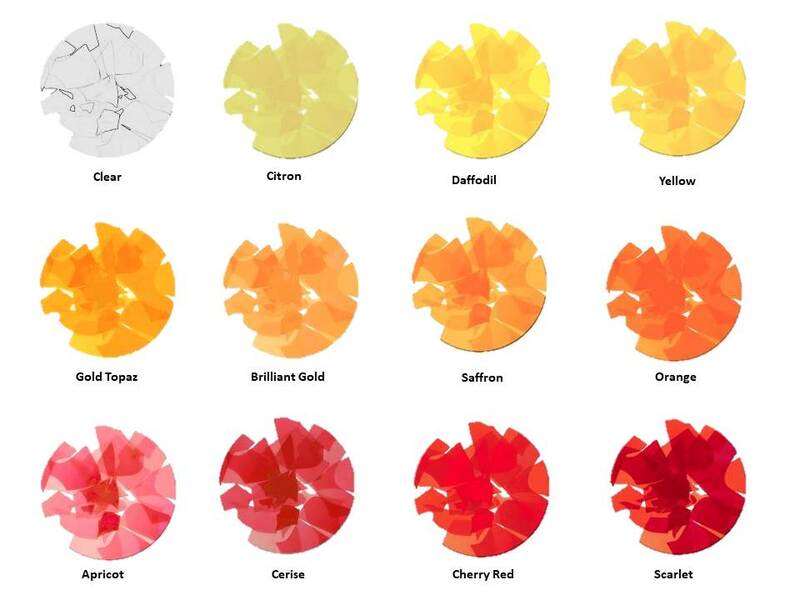 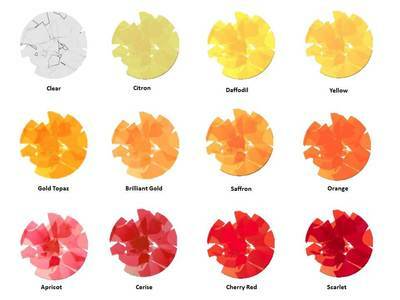 Colour is the real hero in these pendants, with the artist favouring warm amber tones to create a sense of a past era- however these pieces can be made in any colour so you are only limited by your imagination.